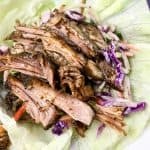 This amazing keto pulled pork recipe only takes a few minutes to put together then your slow cooker does the work. 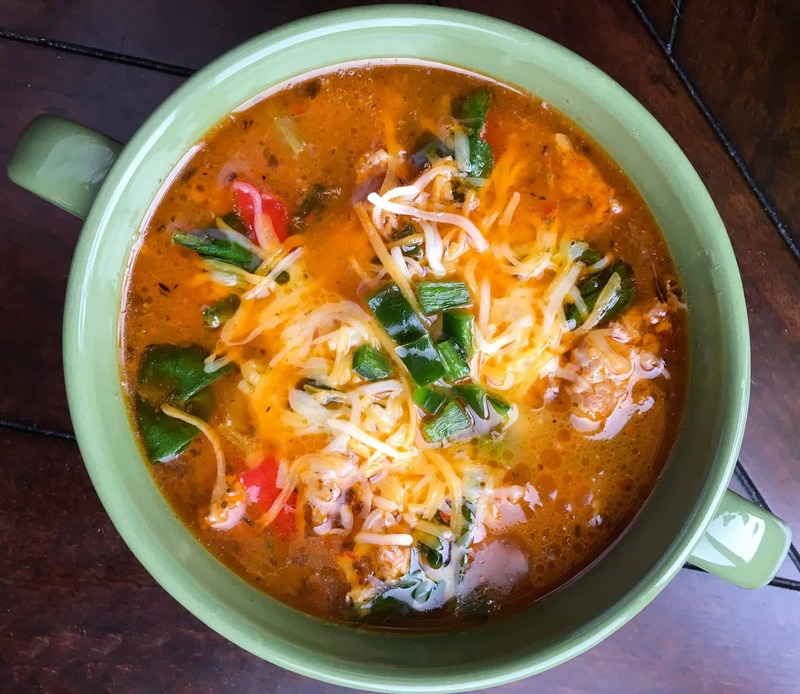 It is one of my favorite low carb recipes, enjoy! 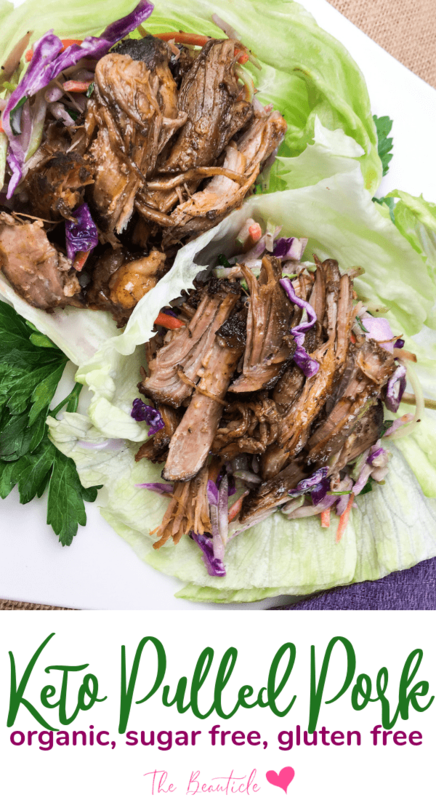 Whip out your Instant Pot, crock pot or other slow cooker and allow it to go to work on this Keto pulled pork recipe. You only need about 15 minutes of prep time then you throw it all in the slow cooker! You keto pulled pork dinner will pair superbly well with our Keto coleslaw recipe! 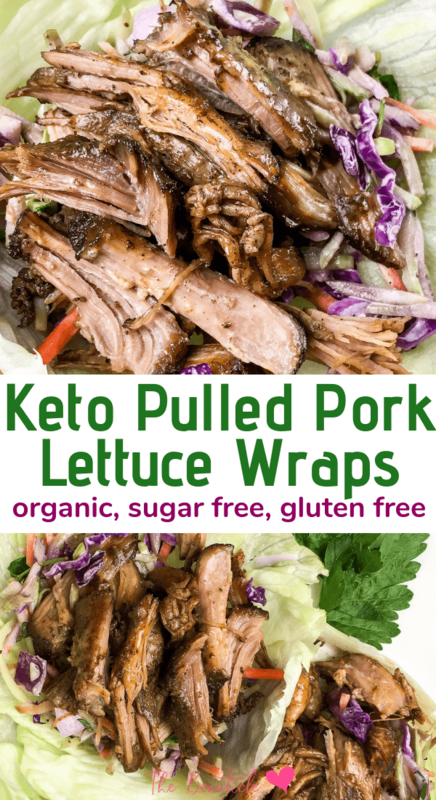 There is no BBQ sauce in this recipe so you get yourself a great low sugar pulled pork recipe that is perfect for ketogenic dieters. This does not mean that this pulled pork is short of flavor as the spices and seasonings in this delicious recipe will be a hit with your family asking for seconds! This is a melt-in-your-mouth gluten free pulled pork that’s great for tacos, sandwiches made from keto bread or biscuits or lettuce wraps. 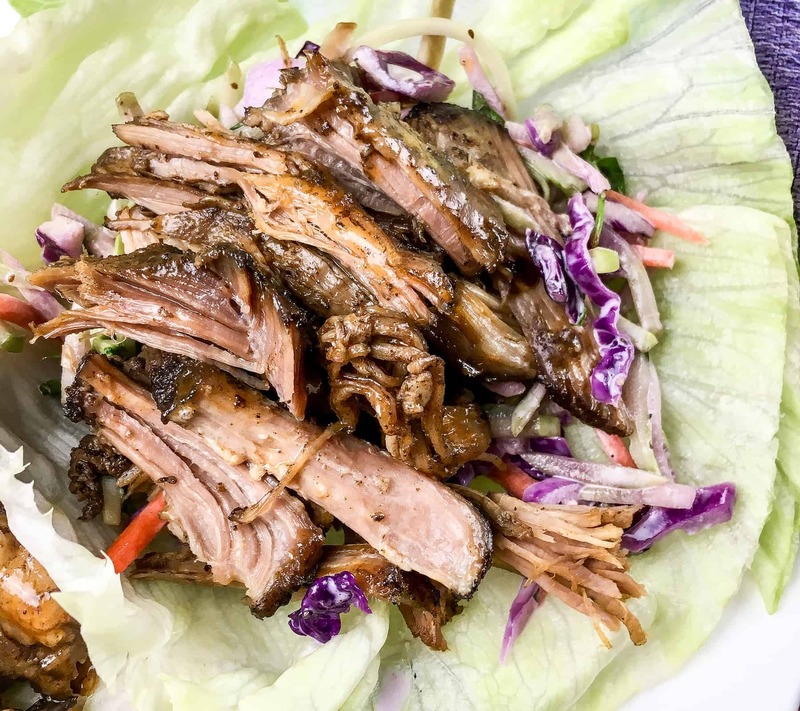 This Keto Pulled Pork Recipe is quick to prepare and bursting with flavor. 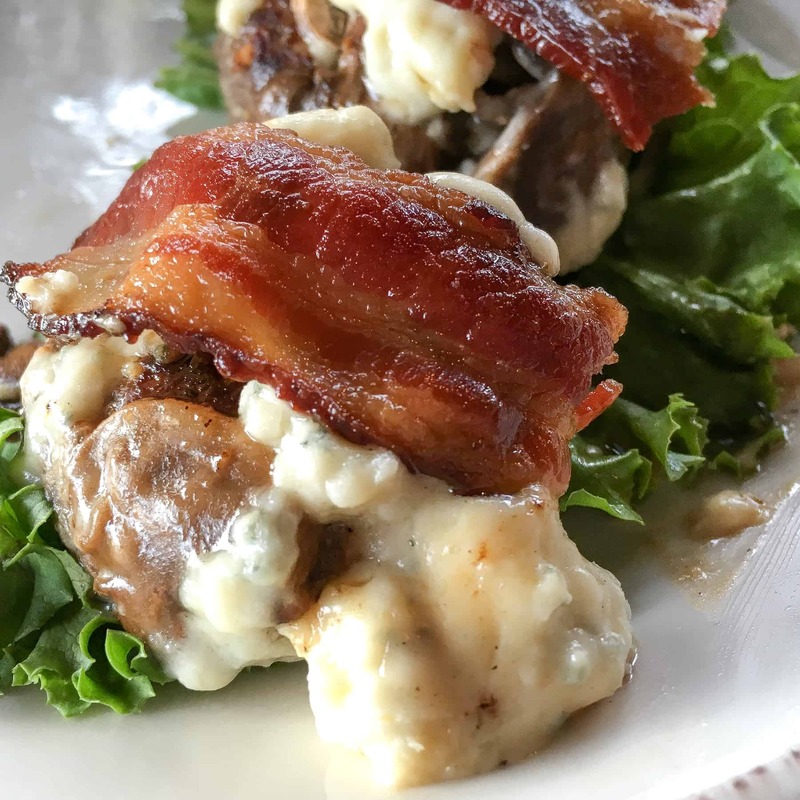 Allow your slow-cooker to do most of the work and pair this with our Keto Coleslaw for a delicious keto dinner. Combine all spices and the cocoa in a small bowl and season with salt and black pepper, to taste. Rub the spice mix all over the pork shoulder and transfer to a 5 or 6-quart slow cooker crock. Add the organic chicken broth to the crock and cook on high for 4 hours or on low for 6. Once the cooking time is complete, use two forks to pull the pork apart while it is still in the slow cooker crock. Allow the pulled pork to remain in the juices with the slow cooker set to “warm” for 20-30 minutes to absorb more flavor. To serve, fill each lettuce leaf with some Crunchy Keto Broccoli Slaw and top with some pulled pork. Enjoy!